Dana Samuel is an interdisciplinary artist based in Montreal, Canada. Presently a doctoral researcher in Humanities at Concordia University, her research-creation project entitled “Sneaking Up on Time,” which has earned her a Joseph-Armand Bombardier Canada Graduate Scholarship from SSHRC, constructs performative scenarios for imagining history anew. Working across studio practices and anthropological methods in tandem with contemporary global and media art histories, she explores a “migratory aesthetics” of exile (specifically referring to her family’s flight from Hungary during the Holocaust). In her research, she draws connections between a material past and the present through a variety of media and shifting aesthetic forms that traverse time and geography. Her research considers how the senses probe and complicate both history and fiction as a way of negotiating between an epistemology of forgetting and a forensic imaginary. As emphasis shifts from the speech of living testimony to that of material history, she questions what can be known about the past through the artefacts left behind. In her practice, Dana investigates “sensuous geographies” and histories of places and things, combining scientific and historical speculation with affective sensory knowledge. Dana holds an Associate Degree from the Ontario College of Art & Design and a Masters of Fine Art from the University of Western Ontario. 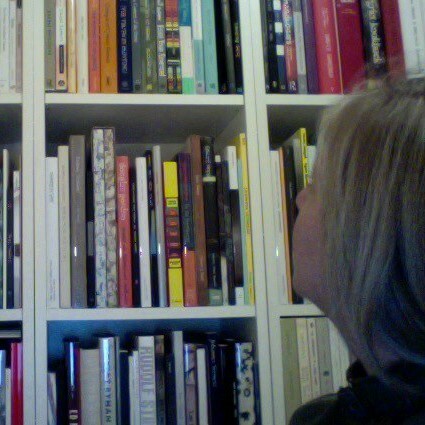 She has shown her work at galleries and festivals including the Art Gallery of Ontario (Toronto), Prefix Institute of Contemporary Art (Toronto), Dalhousie Art Gallery (Halifax), Latitude 53 (Edmonton) and Galerie F15 (Moss, Norway), and received grants and awards from organizations including the Canada Council for the Arts, the Ontario Arts Council, the Toronto Arts Council and the Toronto Jewish Arts Council. The first Canadian artist invited to the Independent Studio Program Residency in Oslo at the Office for Contemporary Art Norway, she was most recently invited to The Banff Centre to participate in a residency with artist Ken Lum. Her artworks raise questions of history, politics and cultural identity through exploring narrative and storytelling, futility and failure and relationships between digital technologies and obsolete media.